When you are stuffed up, the ability to take a nice deep breath without wheezing or sniffling is priceless. But that thick, bothersome congestion is getting in the way and messing up your respiratory system. 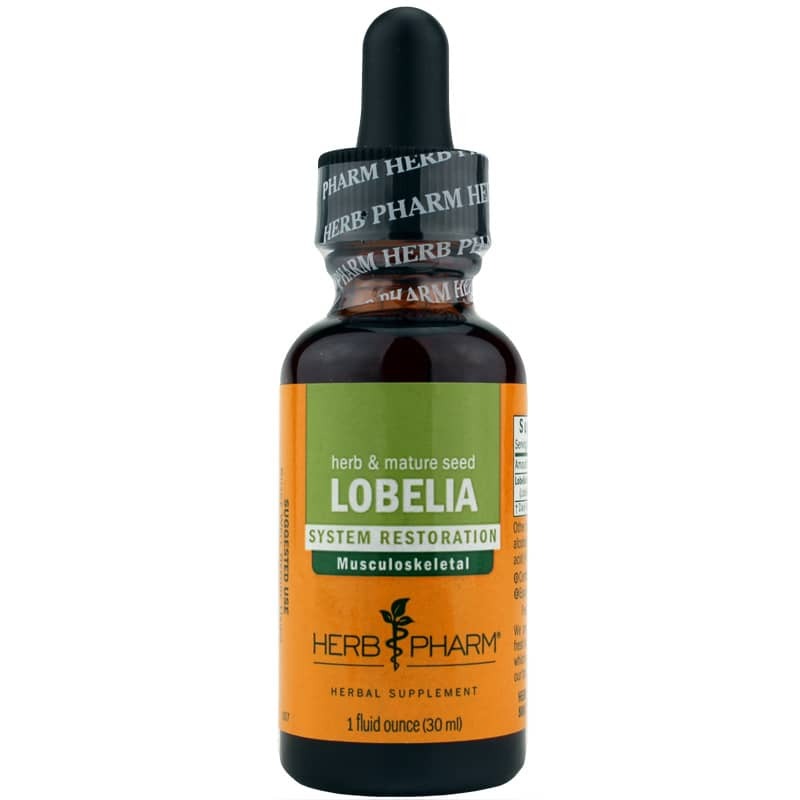 That's why Herb Pharma offers its Lobelia herbal supplement. 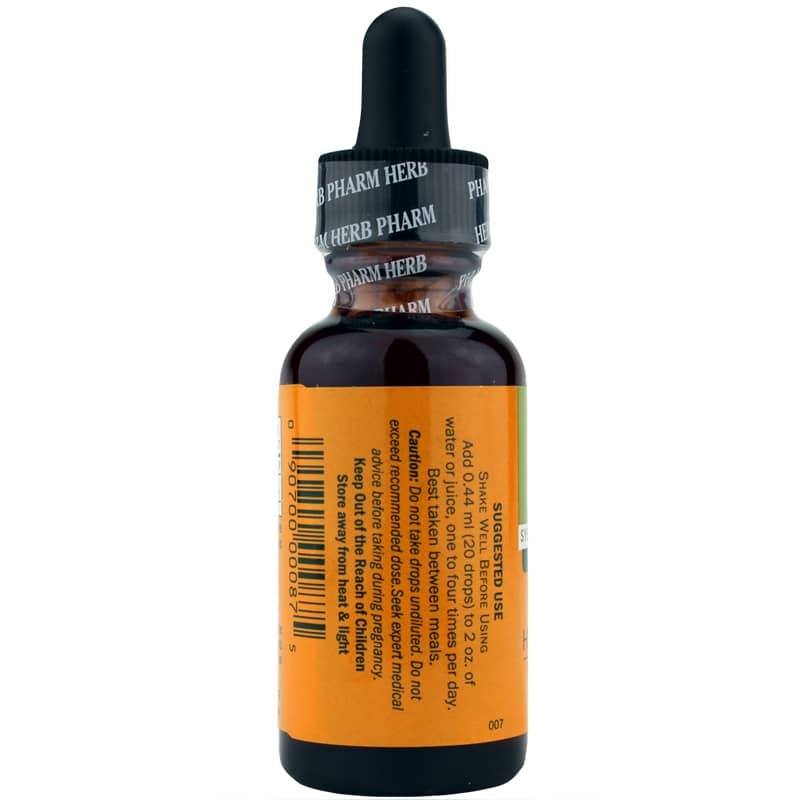 This liquid extract is made from the dried herb and seeds of organically-grown lobelia inflata plants. It may help you breathe easier as a chemical found in the plant may thin mucous. That in turn could make it easier for you to cough up phlegm and get rid of it. Herb Pharm uses acetic acid during the extraction process in order to maximize and preserve the concentration of Lobelia's bioactive compounds. What you get is an extract formulated with optimal potency. 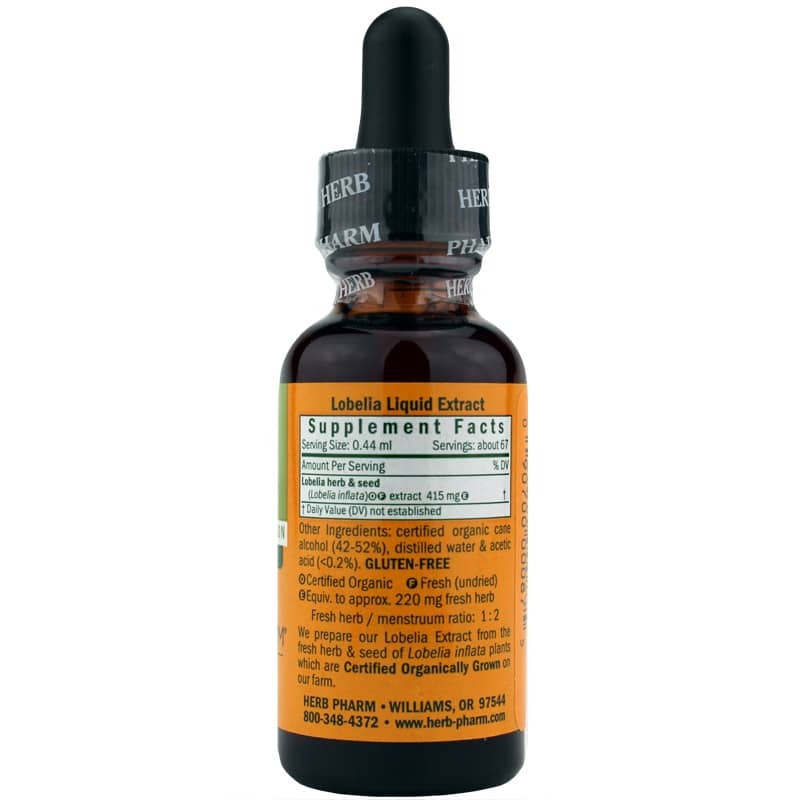 Choose this certified organic herbal support supplement. Order Lobelia from Herb Pharm right now! Adults: Shake Well Before Using. Add 0.44ml (20 drops) to 2 oz. of water or juice, one to four times per day. Best taken between meals. Do not take drops undiluted. Do not exceed recommended dose. Seek expert medical advice before using during pregnancy or nursing. Keep Out of the Reach of Children.